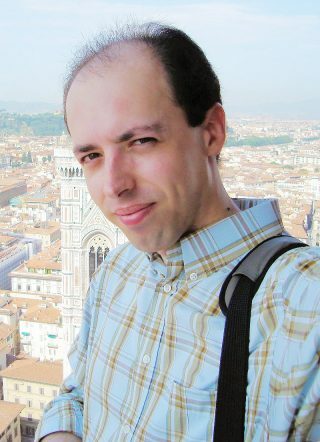 Paulo Dias is an electrical and computer engineer who conducts research on unmanned systems operation on the maritime domain. The focus of the work is on planning, control, and operation of heterogeneous teams of autonomous robotic systems, on the air, surface, and underwater. Portugal’s tradition of bold ocean discoveries and exploration that began in the fifteenth century, opening the world to new territories, cultures, and advancing the technology, has to be honored. So using autonomous systems to map and explore our vast “water” territories makes a lot of sense to continue to open our knowledge and minds. His work is a small contribution for this. Paulo holds a B.S. and M.Sc. both in electrical and computer engineering from the University of Porto, School of Engineering FEUP, Porto, Portugal. Currently he is a researcher at Underwater Systems and Technology Laboratory (USTL/LSTS) of FEUP since 2004 where he works in developing autonomous systems with focus on the command and control toolchain for heterogeneous teams of autonomous systems.